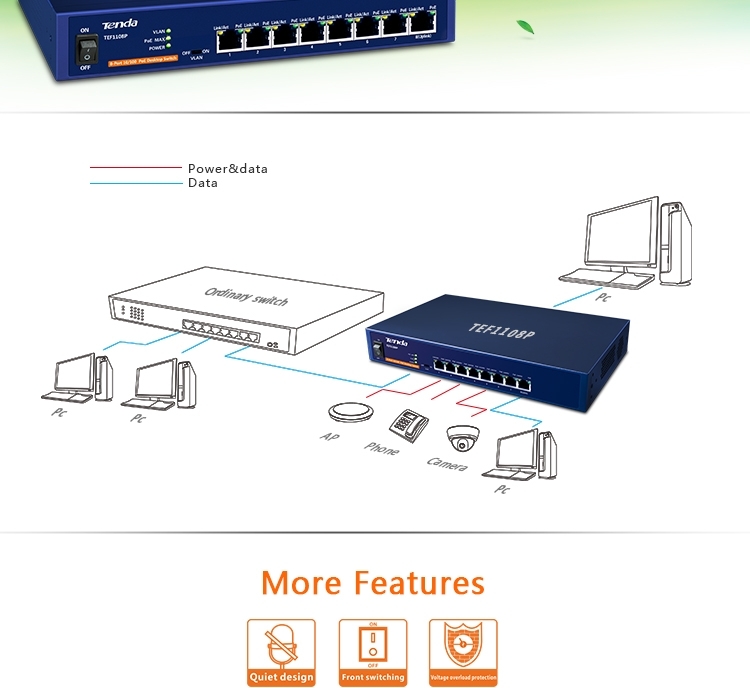 TEF1108P, launched by Tenda, is a new design of 8-port PoE unmanaged switch. 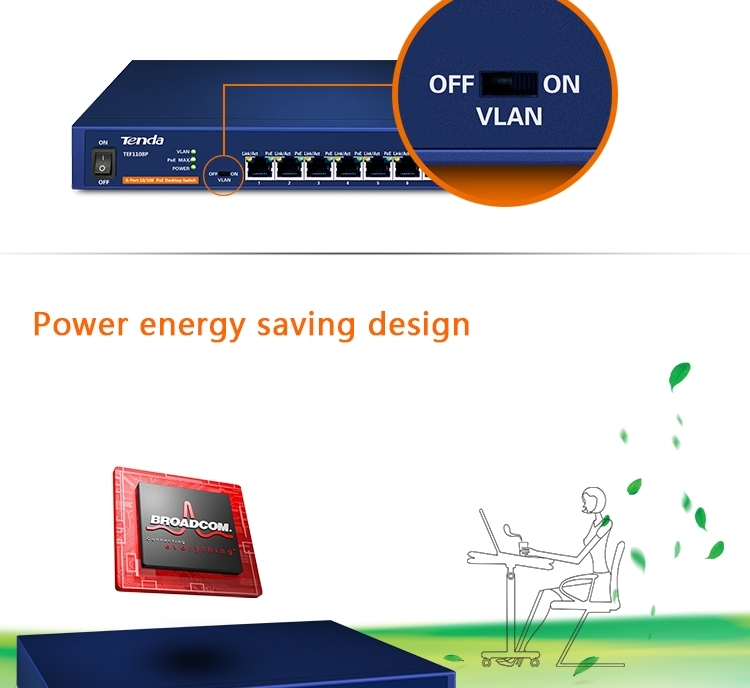 It is suitable for monitoring project and network project. With 8 10/100M adaptive Ethernet ports (RJ-45) provided, it can be used to increase the uplink bandwidth and connective convergence layer. 1-8 ports comply with IEEE802.3at/af standard, detect electrical equipment automatically and power them through the cable if it is suitable to AF/AT standard. Support VLAN, and 1-7 ports will be isolated after pushing the button of VLAN, which can prevent the broadcast storm. frame transmission rate can be sped up. hotel and enterprise wireless network coverage range can extended flexibly, and beyond control of power line layout. with excellent performance and reasonable price. 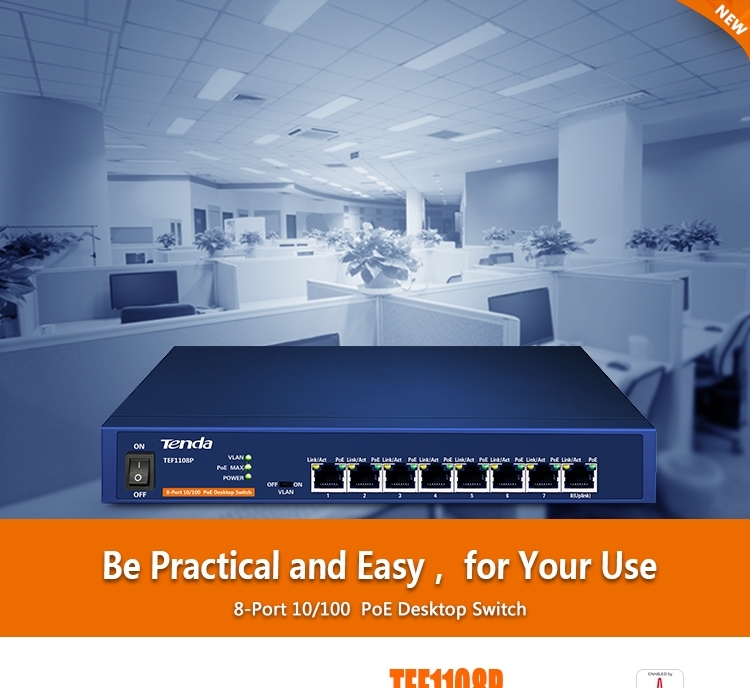 TEF1108P will be the best choice for you to network or upgrading quickly.